This award is open to travel trade publications that are updated or published on digital platform a regular basis. Websites should send the URL of their site and the URLs of a minimum of five individual examples of articles posted during the period between 18 May 2018 to 18 May 2019. Digital magazines should send the URL and two chosen dates as examples of their publication, published between 18 May 2018 to 18 May 2019. App-based publications should send instructions on how to download their app, two chosen dates as examples of their publication they wish to enter, and details on how to access those issues for free. Work must be published between 18 May 2018 to 18 May 2019. Work must clearly show the date of the publication. 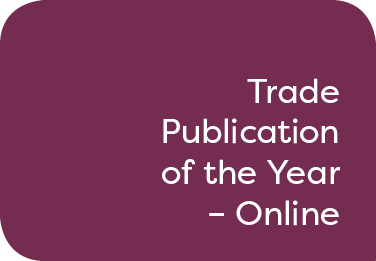 Judges will be looking for online trade publications that are well presented and informative, providing readers with compelling and relevant content, news, analysis and practical insights into travel products and destinations.